When preparing material for an exhibition on Hans Gál to be mounted at the Jewish Museum in Vienna several years ago, I stumbled upon a review by Paul Nettl following the premiere of Gál’s highly successful opera, Die Heilige Ente or The Sacred Duck from Düsseldorf in 1923: it stated that with Hans Gál, ‘one had finally found a worthy successor to the great operatic tradition of Lortzing’. This seemed a bizarre thing to read from the early 1920s when every composer writing German opera was suppose to be wrapping himself up in the long empty robes of Richard Wagner. To us today, the successor to Wagner would seem unquestioningly to be Richard Strauss just as unquestioningly as Puccini seems to be regarded as Verdi’s natural successor. At the time, it wasn’t at all obvious: Paul Bekker, one of Germany’s most noted progressive critics had proclaimed the Austrian composer Franz Schreker as Wagner’s successor in 1919 – indeed, choosing him over Hans Pfitzner, Richard Strauss, Wagner’s own son Siegfried and the now totally forgotten Emil Nikolaus von Reznicek. Hans Gál was not even in the running. Gál’s general position – and lack of position amongst early modernists, highlights aspects of the musical Zeitgeist immediately following the First World War and requires that we draw his contribution into a sharper focus. In believing we have a fairly clear idea of musical culture in Weimar-Republic Germany: an encounter with Gál’s music and position shows that we often only recognise what we already believe we know and disregard that which doesn’t fit into our preconceptions. Gál – and indeed others like him – are important missing pebbles in the ever more complex mosaic of musical life from the end of the First World War up to the annexation of Austria by Hitler’s Germany in 1938. If Schönberg’s contemporaries Franz Schreker and Alexander Zemlinsky demonstrated that progressive Viennese composers writing tonal music could co-exist with the Second Viennese School, Hans Gál represented the more conventional view that the First Viennese School still had quite a bit of life left to it. Gál was born 1890 in Brunn am Gebirge just outside of Vienna, to Jewish parents whose origins lay in the Hungarian half of the dual Monarchy. Later, Gál was able to attend Vienna’s prestigious Wasa-Gymnasium with his “twin” Erich Kleiber. They shared desks, birthdays, musical talent and a rather slight physical statue. Gál was a bright pupil and the family, though not performers at even an amateur level, took an interest in music and allowed the children to develop their talents freely. Their Aunt Jenny, a noted opera singer in Weimar, seems to have been the first to have noticed their musical abilities and encouraged them. Hans’s sister Erna, following a lengthy liaison with the leader of the Kolisch Quartet and erstwhile Schoenberg pupil, Rudi Kolisch, eventually became a professional singing coach and pianist, and from her emigration to the UK up until her death, she was regarded as one of Glyndebourne Opera’s most ancient and fearsome institutions. Hans’s early years as a developing musician seem to have been largely self-taught; score-reading he learned from playing duets with Erna. And it’s worth remarking that his legendary ability to reduce any score instantly to a pianistic masterpiece resulted in one of his earliest successes as author of Universal Edition’s manual on how to read and understand the orchestral score. This was a text that was so fundamental and important to young musicians – and still in print today – that when the Nazis took power, they removed Gál’s name as author and replaced it with the name of the pianist Teodor Leschetizky. Gál’s development as a musician was multi-facetted: he studied piano with the most important teacher in Vienna of the day: Richard Robert who was also teacher of Rudolf Serkin, Georg Szell and Clara Haskil. However, his ambitions lay less in performance and more in the pursuit of understanding the fundamentals of composition and the careful honing of what he saw as a deeply technical craft. Helped by a Rothschild scholarship, he studied composition with Eusebio Mandyzschwesky, Brahms’ musical executor. He wrote his doctorate at the University under the supervision of the distinguished father of modern musicology, Prof. Guido Adler. 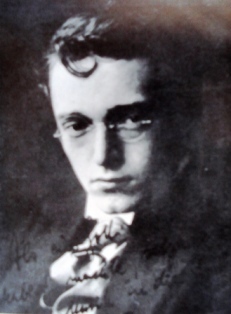 His dissertation in 1913 was entitled “On the Stylistic Characteristics of the Young Beethoven and Their Relationship to the Style of his Maturity”. He went on to make contributions to Adler’s historic series of editions of Austrian composers by producing critical editions of works by Johann Strauss Father and Son. By 1919, he was able to take over the position formerly held by Anton Bruckner as lecturer in harmony and counterpoint at the university. Gál was soon being noticed as a composer of some importance – and this in a city already dominated by countless important musical figures. In 1915, he won Austria’s first State Prize with his First Symphony – a work he quickly withdrew doubting both its originality and individuality. 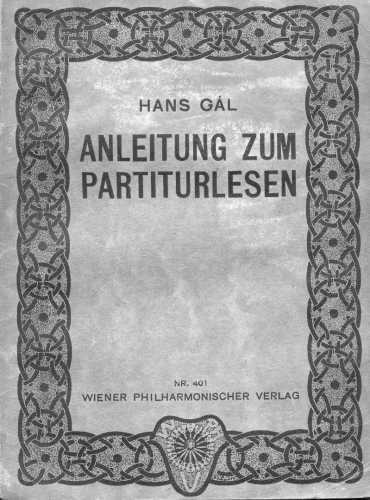 A performance of another Gál work took place with one of the forerunner orchestras of the Vienna Symphony under Ferdinand Löwe, but it too was later withdrawn as were virtually all other Gál compositions written before 1920 including many of those that had even started receiving regular performances. It is difficult for us to imagine how Austria must have seemed to its citizens following its defeat in 1918. In 1900, it, Germany and the United States were not vastly different in size. Following the treaty of Saint Germain that dissolved Austria’s Empire, it was reduced from being a major continental power to being a tiny Alpine republic with its agriculture now outside its new borders in Hungary, its port in Italy and its industry in the newly founded republic of Czechoslovakia. The victorious British, Americans and French would have preferred to have returned to the status quo of pre 1871 before Germany’s 39 independent mini-states were united under Prussia. Recognising this as impossible, the next best solution was to keep Europe’s two major German speaking countries separated. Despite the Austrian parliament voting to join with Germany in 1918, German-Austria, as it was formerly called, was forced to remain independent. All of Austria’s previous non-German-speaking holdings were also offered independence. Hardly anyone gave this ‘new Austria’, itself now barely more than a mini-state, a chance of survival. Even patriotic Jews thought after the defeat of the First World War, the only rational thing to do with the region of German speakers within the former Empire, was to fold it into its larger neighbour. With this view rejected by the victors, the most creative and ambitious spirits left Vienna for Germany. In their opinion, Vienna could at best only become a poor-man’s Zurich. Indeed, the history of the culture of the Weimar Republic looks like a “who’s Who” of Austria. 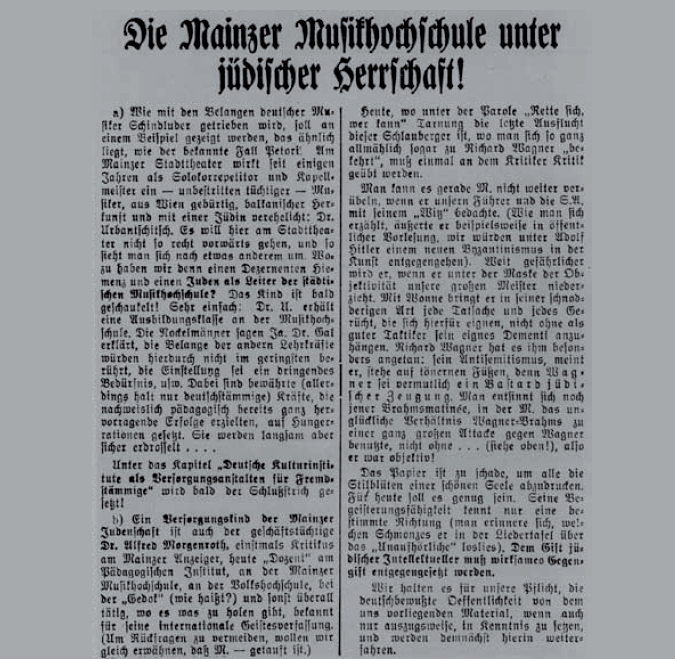 Gál was not alone: Franz Schreker, Max Reinhardt, Arnold Schönberg, Ernst Krenek, Fritz Lang, Joseph Roth, Lotte Lenya, Hanns Eisler not to mention the longer sojourns by the likes of Erich Korngold, Karl Kraus, Hugo von Hofmannsthal and countless others – all carrying out a reverse cultural annexation of Germany by Austria’s intelligentsia and creative community. 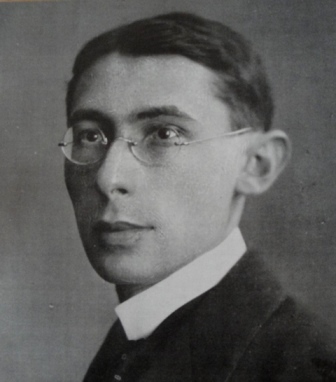 As Anton Kuh, professional scrounger, humourist and counter-weight to Karl Kraus quipped: ‘I moved to Berlin in order to stay among other Viennese’. 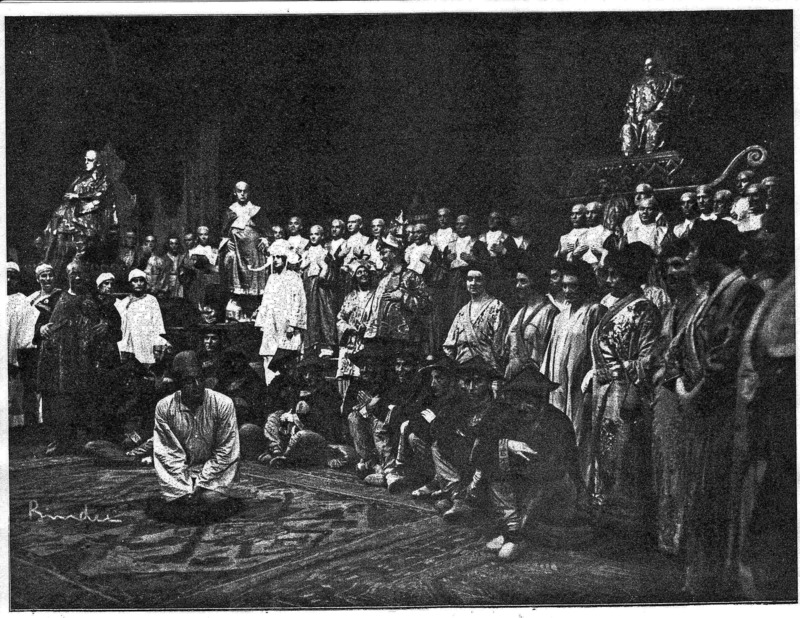 His first opera, much of which was written during the war years was the comic prologue and two-act work, Der Arzt der Sobeide and though well received following its premiere in 1919 in Breslau conducted by one of Gál’s earliest supporters, Julius Prüwer, it did not guarantee Gál more than a mention in the pan-German press. Gál was left earning his principal income from stage music in Vienna for the Neue Wiener Bühne, where he met the penniless, aristocratic, eccentric playwright, Carl Michael Freiherr von Levetzow, who subsequently provided Gál with his most successful libretti and would later be approached by Ernst Krenek about the idea of a Jazz Opera with an African American in the lead role. Even Richard Strauss was on record as saying that had he not met Hofmannsthal, he would have turned to Levetzow. 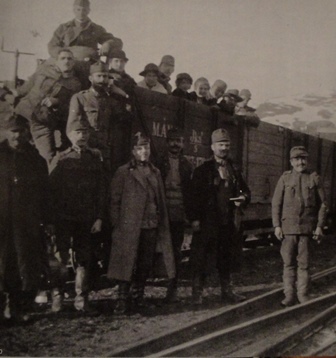 In the 1920s, – Gál was engaged in another important project – indeed, an undertaking so enormous and far-reaching in scope it is difficult to grasp its significance during the inter-war years. Together with his teacher, Mandyzschwesky, he edited the complete works of Johannes Brahms. Even Krenek refers to this Everest of musicological work in his memoirs – rather sniffily as it happens and also mistakenly refers to it as being the complete works of Schubert. But on the other hand contemporary accounts from both left and right of the musical divide document it as the most important musicological achievement in memory. Perhaps an example of the universality of its importance can be gathered by an entry in the diary of the composer Hanns Eisler – another Viennese who had little in common with Gál. He mentions that his biggest sacrifice upon leaving Vienna for exile, was abandoning his complete Brahms edition. Brahms’ centrality in Vienna’s musical life at the end of the 19th century perfectly mirrored Mahler’s dominance at the beginning of the 20th. Schönberg saw Brahms as representing the traditions on which his future musical developments were built – Gál saw him as the natural extension of Vienna’s ‘First School’, a bridge reaching back to Mozart, Haydn through Mendelssohn and Schumann: As such, he provided the aesthetic starting point for Gál’s first works as well. The years 1922 to 1924 must have been amongst the happiest of Gál’s life. 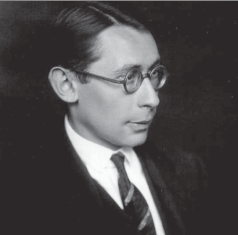 In 1922, he married Hanna Schick, 1923 saw the premiere of his most successful stage work, Die heilige Ente (The Sacred Duck) in Düsseldorf under his life-long friend, Georg Szell. 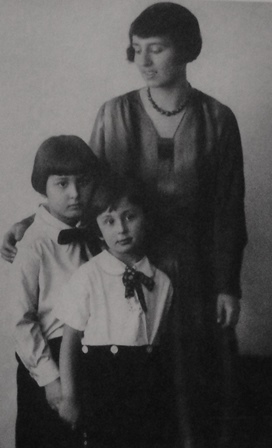 And his two sons, Franz and Peter were born in 1923 and 1924. The work was eventually recorded by Austrian Radio in 1929 as its first studio recording of a 20th century opera. 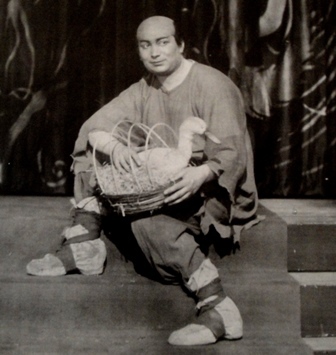 Though Gál went on to compose a number of other operas – some, such as Lied der Nacht, also reasonably successful, The Sacred Duck, a re-working of a Chinese fairy-tale, would be his most remarkable achievement. Today, looking back, it is a puzzle that the work has never been adequately revived. 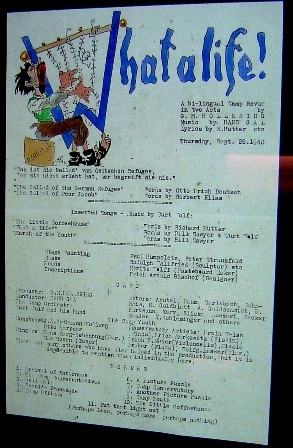 Given the disposable and popular jazz operas of the 1920s such as Jonny spielt auf, Maschinist Hopkins, Aufstieg und Fall der Stadt Mahagonny, Neues von Tage, it is revealing that Gál’s Sacred Duck continued from year to year with new stagings and could hold its commercial own with much more recognised operas from the period; it certainly did considerably better than Strauss’ operas from 1920s: Die Ägytische Helena and Intermezzo. Krenek begrudgingly relates how his own opera Jonny spielt auf remained on performance schedules for only a couple of seasons; Krenek relates that “the merest hand-full of works managed to survive from one year to the next”. Works such as Korngold’s Tote Stadt, Schreker’s Der Ferne Klang, along with Schreker’s other operas Der Schatzgräber and Die Gezeichneten and of course, Alban Berg’s powerful Wozzeck could usually hold their own after strong opening seasons. Schreker’s charismatic and beautiful wife, Maria Schreker added considerable public fascination to Schreker’s works and she would also take on the role of Li, the lead soprano in Heilige Ente as one of the few roles she sang beyond those composed by her husband. Indeed, she was so enchanted by the piece that she kept a scrap-book of her performances at the newly renovated City Opera in Berlin, which in fact, opened with Gál’s opera. The title is as farcical as the opera: Chinese gods, fed up with perpetual worship and the smell of incense descend into an opium din where, as a distraction, they swap the brains of various miscreants. A duck, historically a theatrical tool used as a symbol for the ridiculous, is a by-product of the farce and ultimately leads to a happy end. There are no recordings of this work – no revivals and it remains totally unknown. Yet thanks to Gál’s talented grandson Simon Fox-Gál, we have computer generated tracks and dubbed singers on top of two short excerpts: one from the opening and the love duet at the end. 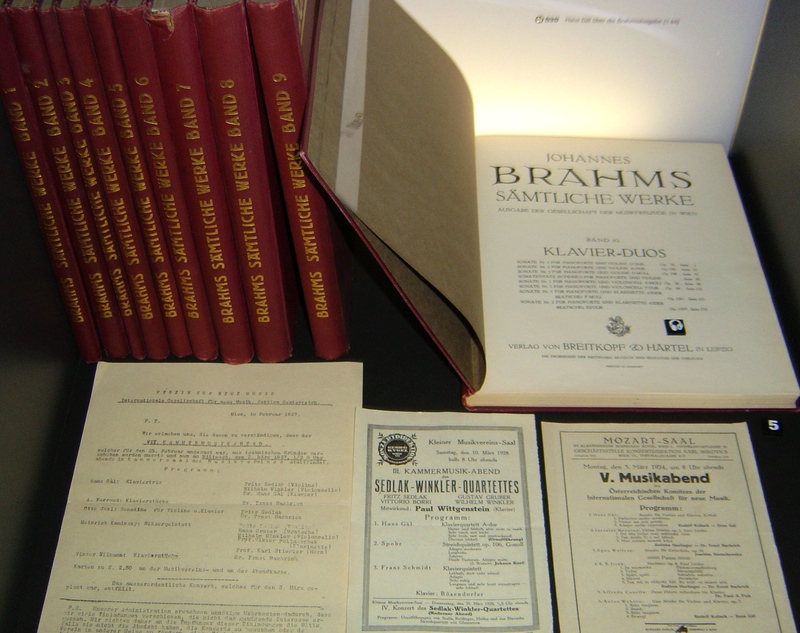 In 1927, Gál’s publishers Universal Editions, produced a special edition of its monthly new-music magazine Anbruch on the subject of ‘Opera’ and commissioned Hans Gál to write a contribution on the problems of the “comic opera”. The content of the article is illuminating. It highlights operetta as moving onto the territory of comic opera, and acknowledges that perhaps, operetta is a stronger advisory, against which, comic opera does not stand a chance. He cites Rosenkavalier as the only relatively recent comic opera to establish itself in the repertoire. He analysis several works that should have been popular but failed, such as Busoni’s Arrlechino, which he accuses of a miscalculated use of parody. In short, he argues strongly for a return to the German Spieloper, such as those composed by Nicolai, Lortzing and Flowtow. 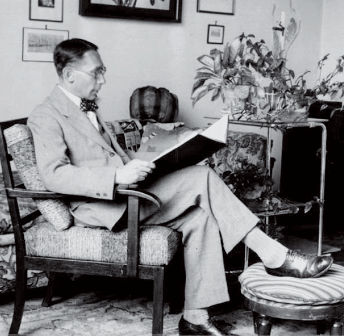 A work he does not mention – and to me, seemed conspicuous by its absence was another comic opera premiered the year after The Sacred Duck 1924 by a far more established composer, Walter Braunfels whom music lovers today know from his opera, The Birds. The enormous and undisputed Success of The Birds from 1920 was followed by a comic opera that according to Gál’s friend Alfred Einstein, seemed to fit Hans Gál’s directives for the genre to a tee. It was called Don Gil von den grünen Hosen – Don Gil of the Green Trousers and it too had a prestigious and resoundingly successful premiere in Munich under Hans Knappertsbusch. 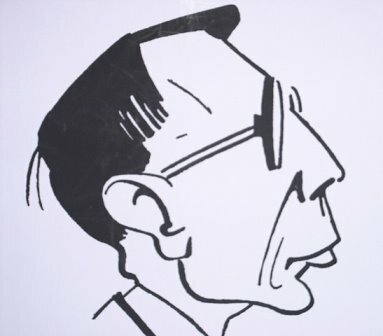 Sadly, despite the original material being by Tirso de Molina, Braunsfels did not have the brilliance of Lewetsow as librettist to achieve its full effect, despite universal praise for his music. Braunfels was 8 years older than Gál and had a proven track-record behind him, so it is no surprise that his Don Gil was taken up following its Munich premiere by Stuttgart, Königsberg, Leipzig and Cologne, before mysteriously slipping beneath the waves in 1927. It makes the success of Gál’s Sacred Duck stand in starker contrast. 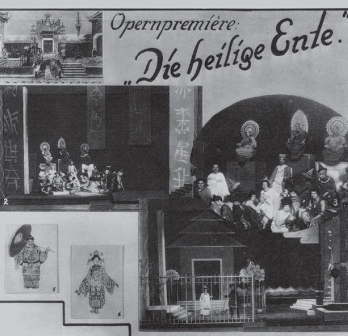 Carl Heinzen, reviewing the premiere in Düsseldorf, is fascinated by Gál’s use of oriental colours – and in truth the popularity of stylised Chinese texts was en vogue at the time. 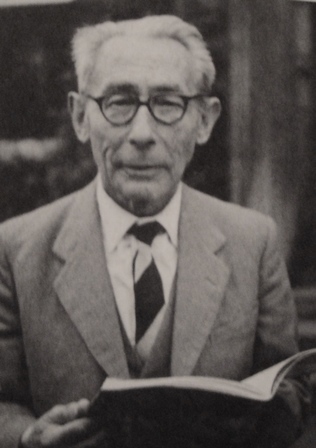 The composer Ernst Toch had enjoyed a considerable success with his Chinese Flute songs from 1922, and others such as Egon Wellesz and Julius Bittner had also composed songs on texts that had been lovingly orientalised by such German poets as Bethge. The fascination with China seems to have held since Mahler’s Das Lied von der Erde. Heinzen confirms that the Düsseldorf audience was enthusiastic demanding that Gál continue to come out to acknowledge the ocean of applause. The renowned stage director Heinz Tietjen mounted further productions of The Sacred Duck in Breslau and Berlin. Hanns Gutmann reviewing the Berlin performances wrote “The Score of this opera demonstrates how the orchestra has developed throughout the 19th century and is handled with the same virtuosity as Mahler and Strauss”. Gutmann goes on to admire the exotic nature of Gál’s music with its use of 4ths, 5ths and whole-tones. His principal criticism focuses on Maria Schreker whom he, along with Reinhold Scharnke, writing for publication in Switzerland pays a back-handed compliment by saying she is far and away the most enchanting creature on “any opera stage today”, but is vocally unable to surmount the acoustical difficulties of the newly renovated auditorium of the ‘City Opera’ – this small niggle aside, a resounding success is reported by all. The triumph of the Sacred Duck assured a steady stream of commissions of every conceivable musical genre by many of the best known performers of the day. 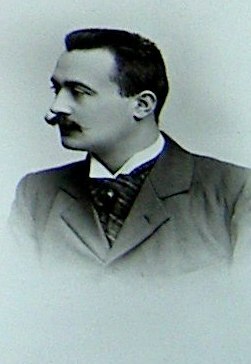 Gál had also established himself as a pianist and as a popular teacher. In 1929, Gál was offered the directorship of the Music Academy in Mainz following recommendations from Wilhelm Furtwängler and Richard Strauss. In only 4 years, he was able to turn it into one of Germany’s premiere music institutions and a worthy Southern pendant to Schreker’s directorship of the Music Academy in Berlin, or Bernard Sekles’ progressive institution in Frankfurt. Gál refused to believe that Hitler’s rise could have the slightest bearing on his success in Mainz. He had assembled a prestigious faculty and was, with each graduating class, already producing notable results. Such achievements were being recognised: He was popular, valued by the locals and much praised by the mayor. Gál’s dismissal from Mainz came as a shock. He never lost his faith in the people of Mainz and recalled how his landlord refused rent for a number of months as a means of showing defiance to the new regime. The return to Vienna was not promising. 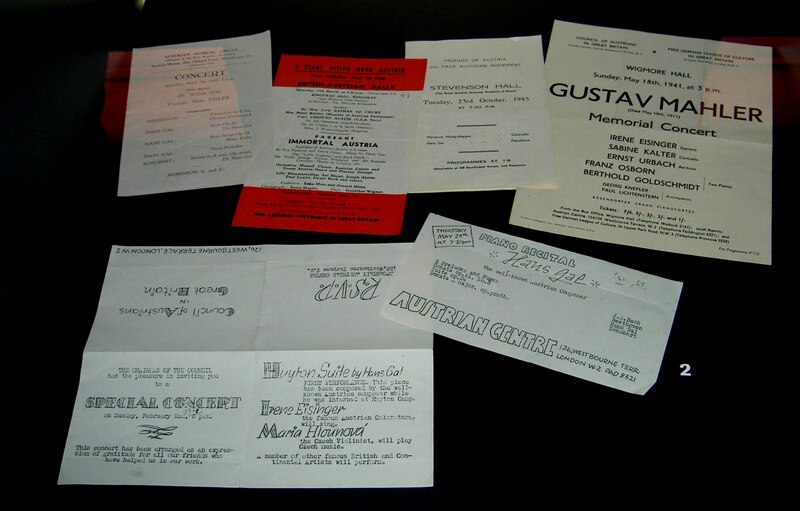 Performances of Gál’s works – and thus a large part of his income – depended on German venues and musicians. These were now withdrawn, including his newest opera ‘Die Beiden Klaas’ to have had a join premiere in Hamburg and Dresden, with Fritz Busch conducting the Dresden performance. Though he composed a number of commissions for local musicians, wrote and taught as much as possible, it was clear that Austria was not a long term solution. In 1937, he composed a monumental oratorio called De Profundis, as an expression of the sense of hopelessness in which he and his family found themselves. I personally find some of Gál’s most lyric and immediately beautiful works come from this desperate time: Not only the moving De Profundis, but his gorgeous sonata for violin and piano without opus number and his Serenade for String Orchestra which most be one of the most immediately serene works to be penned by any composer in the 1930s. The war years were terrible for Hans Gál and his family. They managed to get to England immediately following Austria’s annexation by Germany. 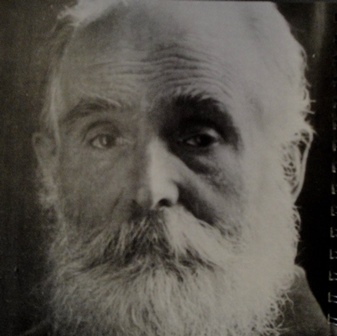 Initial refuge was found in boarding houses in London, but the declaration of war and bombing raids encouraged Gál to move to Edinburgh where contact had been established with Sir Donald Tovey. 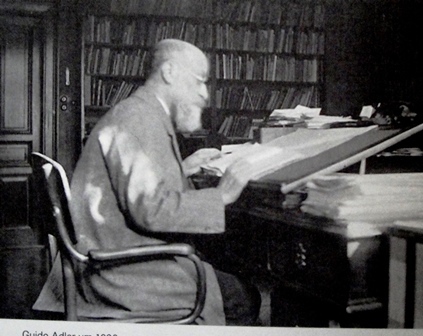 Gál’s luck seemed to run out: Tovey fell ill and died soon after their acquaintance, though not before Tovey could organise a cataloguing position for Gál at the Reid Music Library. Gál was interned in 1940 with everyone else classified an ‘enemy alien’ by the British government; the older son was deported, the younger son committed suicide; indeed, many of Gál’s closest relatives committed suicide rather than face deportation. 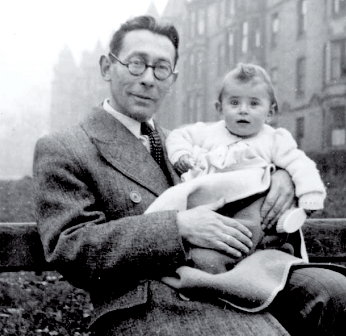 An entire lecture could be given on Hans Gál in British interment camp. His first camp was Huyton outside of Liverpool before moving on to Camp Douglas on the Isle of Man. His camp memoirs have been published in German and provide a sombre account of 1940. To most, it looked inevitable that Britain would fall to the Germans, just as France had. The occupation of the Channel Islands did not bode well for British resistance and the policy of rounding up all ‘enemy aliens’ and placing them in concentration camps seemed to Gál a tidying-up operation before the inevitable fall. Jews could then be handed on a plate to Hitler already confined and ready for execution. Had Hitler not turned his attention to the Soviet Union, Gál may have been right. Documentaries have been made about the interment of enemy aliens on the Isle of Man. 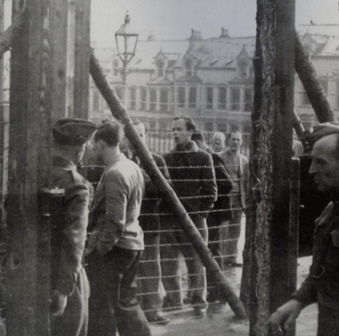 To the documentary makers and many British historians, the camps were virtual retreats. Universities were opened, courses were offered, theatre performances were prepared and on any one day, one was positively paralysed with choice. Did one go to a lecture on Nuclear Physics given by Max Born, or a lecture on Byzantine music given by Egon Wellesz – there was always an art class to attend by Kurt Schwitters, or performances to be heard by the young still unformed Amadeus Quartet. This popular myth of British benign internment is soundly laid bare in Gál’s memoirs. It may make the British feel better about their momentary lapse in their treatment of desperate people fleeing a desperate situation – but it is not entirely true. Suicides were rife. Families – such as Gál’s own – were broken up. Communication was negligible and the guards could be sadistically cruel. German businessmen, fifth columnists, second and third generations of British citizens of German descent, political and Jewish refugees were all thrown together. The composer Egon Wellesz suffered a total mental breakdown while Gál broke out with an unexplained skin-rash, so sever it was decided to release him for medical reasons. During this time, Gál wrote music for whatever instruments were to hand – once it was two violins and a flute. If players were sent somewhere else or deported to Canada or Australia, transposition or arrangements were called for. Yet the music he wrote was fundamentally cheerful and up-beat. It was meant to take people away from the misery of the camp and to help them forget. 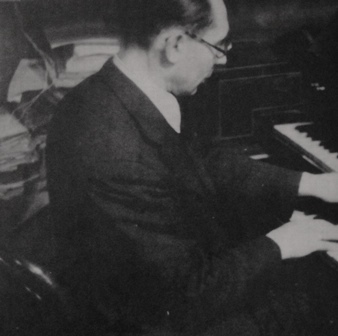 Just before his release, he was involved with the cabaret “What a life” with much of the text written by none other than the Schubert scholar Otto Erich Deutsch. If Deutsch does not spring to mind as a writer of humorous verse, neither does Gál as a composer of light music. Performances however, were so successful that Gál actually stayed on longer than necessary to complete the run. Once freed, Gál was active in refugee musical life. At this point, it’s worth mentioning what life meant to refugee musicians in the UK at that time. The Incorporated Society of Musicians, (ISM) had persuaded politicians and civil servants to bar refugee musicians from taking any employment while in the UK – either paid or un-paid. In some cases, the ruling was ruthlessly carried out and elderly musicians were threatened with immediate deportation or imprisonment for giving local children piano lessons. Famous soloists who may otherwise have preferred to have stayed in the UK for geographical reasons realised they could perform there only if they lived elsewhere. Schnabel moved to the States. Others, such as Richard Tauber could not be stopped from performing given his super-star status. Many prominent individuals debated the issue in the letters’ pages of the Times. Myra Hess who ran the lunchtime National Gallery Concerts, John Christie who was busy setting up Glyndebourne and Compton Mackenzie, editor of Gramophone Magazine pleaded that refugees be allowed to work. The arguments against letting refugees teach or perform were not without merit. 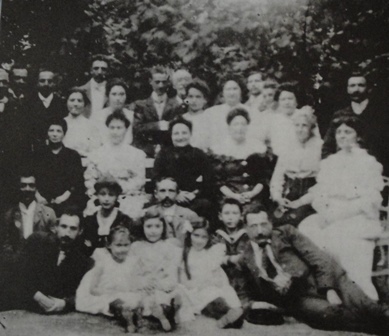 White Hall, along with the government of the United States, had taken the precaution of not over-emphasising the fact that most refugees were Jewish. To the British, it seemed nearly insane to take on a tidal wave of Germans just as the two countries were going to war. To orchestral players and conservatory teachers, it seemed iniquitous that they should leave their positions to fight Germans when Germans were taking their places in their former institutions. Vaughan Williams wrote a now iconic letter to Ferdinand Rauter fearing that the fragile flower of English music would be trampled by the much more robust Austro-German tradition arriving on British shores in vast numbers. In fact, few did as much to help Austro-German musical refugees as Vaughan Williams – but his initial resistance is illuminating. Surprisingly, the Comintern in Moscow saw an opportunity to broaden their base and opened, financed and ran refugee organisations for both Austria and Germany. It was important to Austrian refugees, that the Austrian annexation was not recognised on any level and that they would be treated as Austrians rather than their official status as Germans. In fact, only Mexico held that the annexation was illegal with Western Europe and America accepting the inevitable ‘legitimacy’ – so Neville Chamberlin – of Hitler’s claim. These centres offered language courses, job placement and help in locating relatives. They also put on many cultural events and took great pains not to be political. From 1933 to the Hitler/Stalin pact in 1939, they served as centres of anti-Nazi activities. It was Ferdinand Rauter who believed that the Nazis were not going to be so swiftly defeated and did not feel comfortable with refugee organisations being financed from Moscow. He – unlike any of his German counterparts – decided to set up an organisation that was independent from Soviet support and with the help of Vaughan Williams, Adrian Boult, Benjamin Britten and others, founded the Anglo-Austrian Music Society in 1942. Within the confines of these organisations, refugees could perform and even put on concerts attended by the general public. Gál was one of the central figures in these many activities. He seems to have remained constantly travelling between Edinburgh where he worked as a caretaker for an evacuated girls’ school and London. In addition to many personal appearances, he arranged and organised countless musical events. 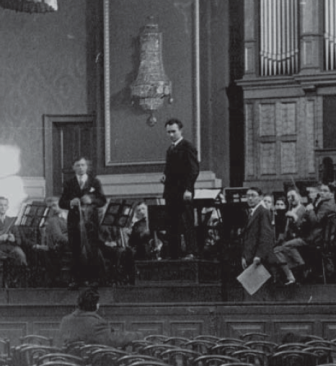 Peter Stadlin and Georg Knepler recall that his arrangements of Mahler’s symphonies for four hands – performed by Berthold Goldschmidt and Franz Osborn or Georg Knepler – were what would make London a centre of Mahler performances after the war. During this period, Gál composed some of his most powerful and least familiar music such as his second symphony and his cello concerto. 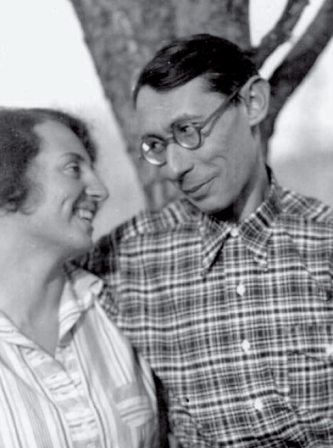 Eva Gál, born in 1944 would remain aware of the fact that she had been brought into the world to help comfort her parents in the light of Peter’s suicide. In fact, in later years Franz too would take his own life – perhaps proving that the terrible sense of dislocation caused by Hitler would continue to resonate for decades after his defeat. 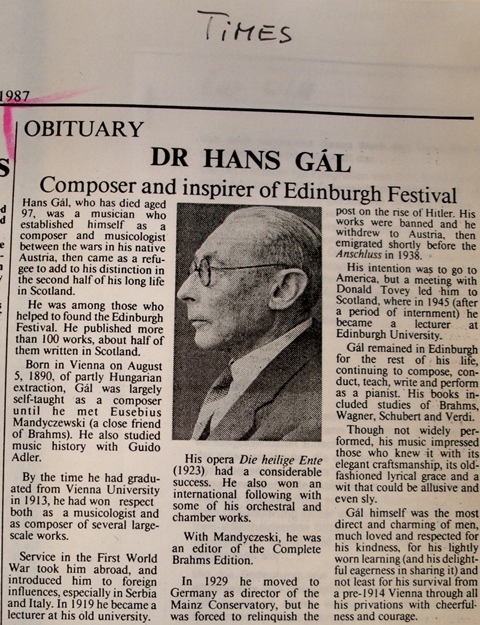 With the end of the war, Gál was finally offered the security of a position as music lecturer at Edinburgh University. With his young daughter now growing up in Scotland, he was in no mood to return to Vienna even when offered a position at the Conservatory. He threw himself into British musical life and was one of the founding fathers – albeit a sceptical one – of the Edinburgh Festival with fellow Austrian Rudolf Bing. The incomprehension of the cultural watershed produced by the war must inevitably have taken a toll. 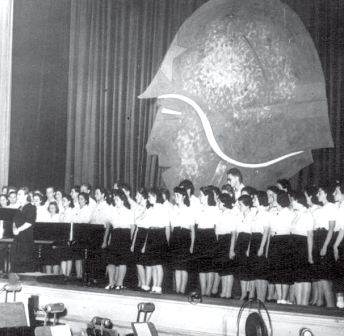 Works by Gál, when taken up after 1945 by former pupils and supporters, were dismissed by the newly organised music establishments. Departures from tonality became the torch held by all presumed anti-fascists. Post war Germany had embraced it in an attempt to distance itself from its past, and as a useful political tool for dealing with its cold war present. Gál’s music was not seen as bridge to a better time pre-Hitler, but as a link to the period that actually produced Hitler. He was in no mood to compose music he did not believe in and towards later life his works became smaller in scale and more personal. 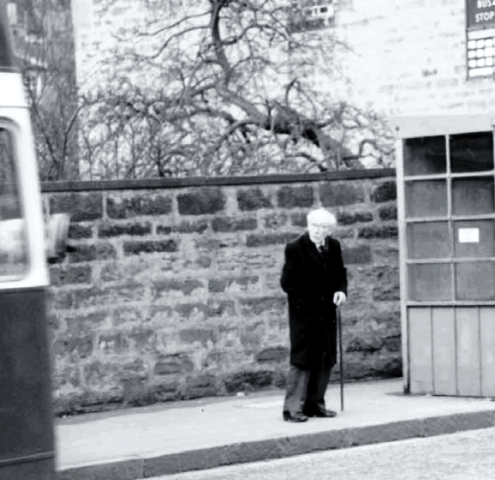 In Britain, he became a well-loved lecturer and writer. His biographies of Schubert, Verdi, Brahms, Wagner, along with books on the Golden Age of Vienna and a collection of composers’ correspondence hold the test of time with both musicologists and enthusiasts. he was awarded another Austrian State Prize for Music. As a birthday present to himself for his 80th birthday, he composed 24 preludes for piano – for his 90th, he composed the fugues. His precise manner of expressing himself – both in word and music was second to none and remained sharp and well-focused right into old age.